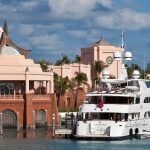 KERI LEE III is a 53,95 mt. 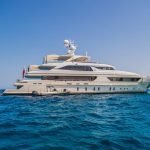 luxury motor yacht, built in 2001 by Trinity Yachts. 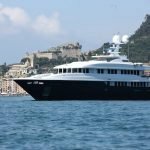 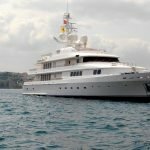 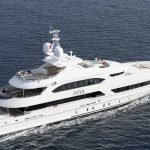 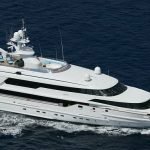 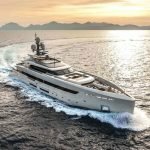 She has won many super yacht awards in her time and represents the highest level in a luxury yachting vacation. 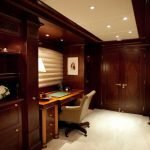 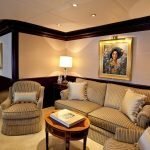 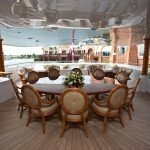 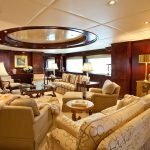 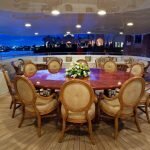 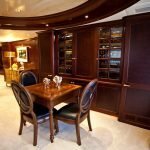 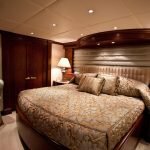 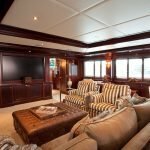 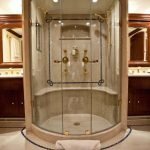 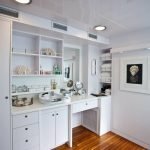 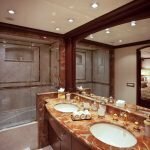 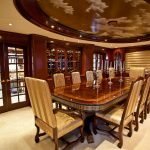 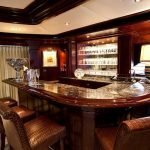 Designed by Claudette Bonville & Associates in Fort Lauderdale, her interior design could be described as ‘traditional yacht’ as fitted with a rich mahogany and olive ash burl woodwork. 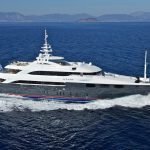 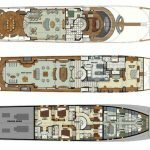 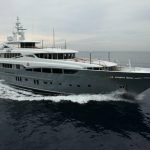 In 2009 the superyacht had a thorough refit and update. 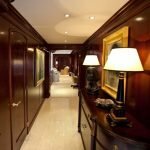 This work included the installation of new zero speed stabilizers and also the re-decoration of her main salon. 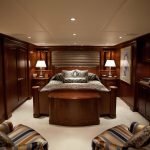 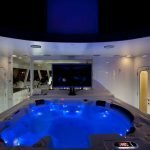 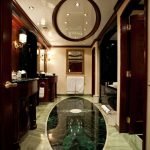 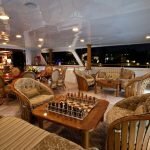 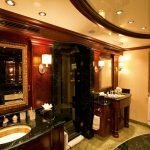 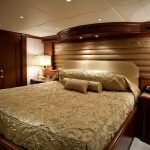 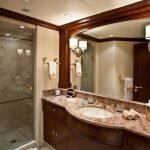 Other upgrades and additions were new underwater lights, a main engine rebuild as well as new linens, a new audio visual entertainment system, new air conditioning and an upgrade to high speed internet. 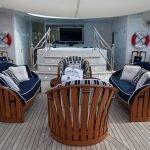 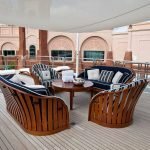 Her aft deck offers alfresco dining and seating for 12 and can be completely enopen with windscreens if the weather is not good. 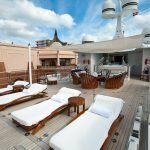 The large sun deck provides ample seating, a Spa pool with an awning, a maxi-screen and a fully equipped gym. 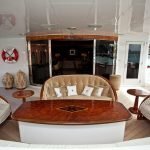 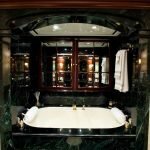 KERI LEE III offers accommodation for up to 12 guests in six suites comprising a owner cabin, a VIP cabin, two double cabins, two twin cabins, all with their own ensuite bathrooms. 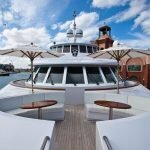 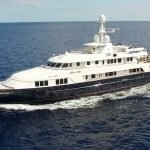 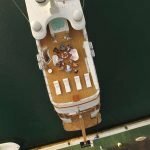 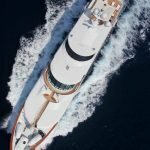 She is also capable of carrying up to 12 crew onboard to ensure a relaxed luxury yacht experience. 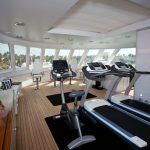 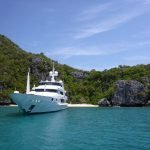 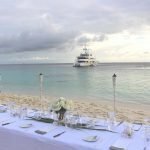 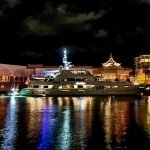 The yacht’s tenders and water toy list includes: a Nautica 22′ RIB landing craft with Volvo 200 hp engine, a Sea Vee 32′ center console with Volvo 300hp engine, 2 Yamaha jet skis, snorkeling gear, water skis, two kayaks, wakeboards and beach toys.